Ethel is one of our kitties that has been with us a long time. She was brought in with her sister Lucy. This pretty female is 11 years old and has spent the better part of her life in our shelter. 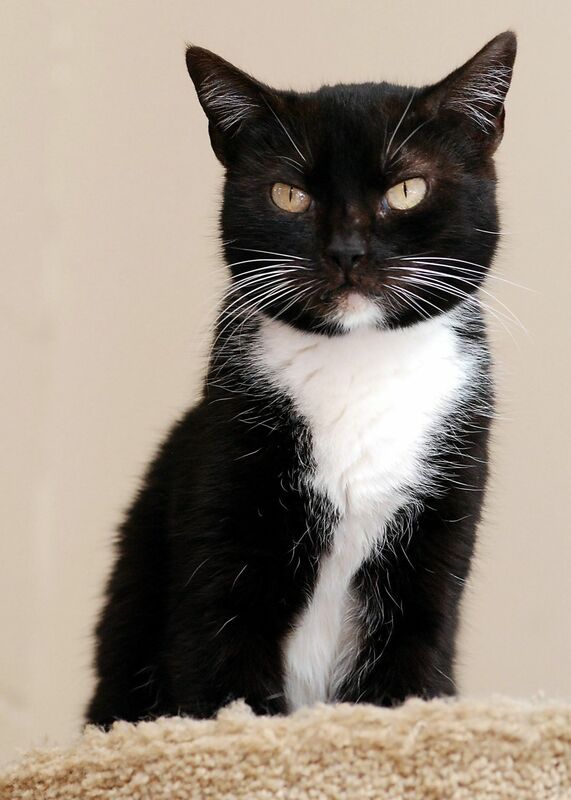 She is on the shy side but we think if a patient person spent time with her in a home, she would be a great cat. Not what you were looking for? You can adopt a different pet in Spring Valley by using our search feature and adjusting the radius. Thank you for helping our animal shelters and rescue groups with pet adoption! The National Cat Protection Society is a non-profit, no-kill cat shelter dedicated to the protection and welfare of cats. Founded in 1968 by the late career humane officer C. Richard Calore, we take in owner-relinquished cats and kittens on a space-available basis and adopt them to screened homes. Our staff, volunteers and foster homes give only the very best care to our kitties. We also offer lifetime care for a one-time fee and humane education throughout our communities. We serve anybody in any city who can give a cat or kitten a safe, loving home. When you arrive, please sign in and complete our application. While you visit our cats and kittens, we gladly provide their background and answer any questions on the kitty that interests you. Our adoption fee starts at $75, which includes spaying or neutering, vaccinations, leukemia testing, deworming and microchipping. To finalize the adoption, please sign our Adoption Agreement statement. We also require that your new furry friend goes home in a secure cat carrier.